Love everything about this! Love the way you’ve kept the swallow to the right needle sharp and the others blurred and silhouetted. Very dreamy. 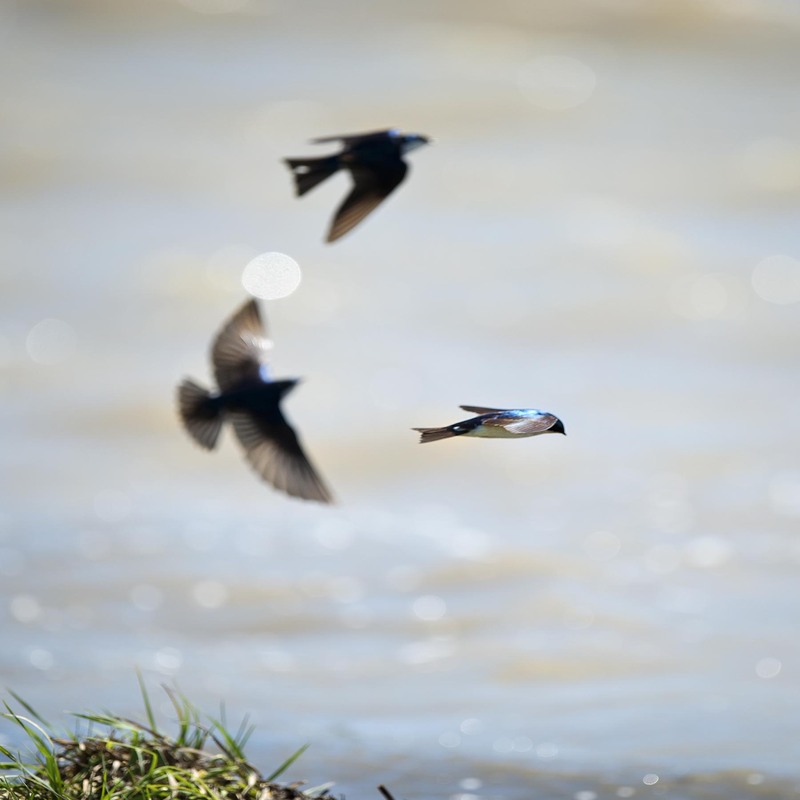 Hi, shooting swallow in flight is an exercise in randomness. You never know how they will turn out or if any of the birds will be in focus. We were happy how this one looked and glad you liked it as well. Hope your having a wonderful week. Thanks, it is always fun to watch swallows whizzing about. Hope your week is treating you well. So streamlined, they make flight look effortless! Hi Eliza, yes effortless does describe a swallows flight but not trying to photograph it at times.